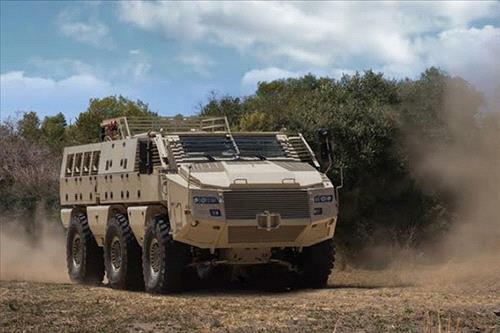 AMMONNEWS - An industrial partnership of Paramount Group, the African-based global defence and aerospace company, has begun local production of one of the world’s most advanced armoured vehicles for the Jordanian Armed Forces. Paramount Group and Jordan Manufacturing Services Solutions (JMSS) announced the signing of a new contract that will see JMSS leading on the local production and assembly of the MBOMBE 6x6 at a dedicated facility in the Dulail- King Abdullah II Design Development Bureau (KADDB) Industrial Park. The announcement was made at the Special Operations Forces Exhibition & Conference (Sofex-2016) in Amman, Jordan. Ichikowitz added: “Regional governments are working valiantly to confront security threats of unprecedented scope and scale in an era of squeezed military budgets. But they cannot do it alone. Regional security starts with economic security and the defence industry must accept the responsibility of offering more affordable, adaptable solutions. JMSS and partners will start immediately to fabricate the jigs to build the MBOMBE hulls before producing the second tranche of 25 armoured vehicles in Jordan. The proposed build will require them to fabricate the hull assembly as all welded sub-assemblies and cut and bend plates will be delivered by Paramount Group. The bolt on assembly will be done in Jordan, as with the major sub-assemblies like the power pack, wheel stations, suspension and hatches. The Jordanian MBOMBE is a bespoke version developed by Paramount Group. It can uniquely withstand the extreme climates of the Middle East: during the armoured vehicle’s development it underwent extensive trials comprising 50-degree Celsius desert environments in Jordan and the UAE, to -50-degree Celsius during winter trials in Kazakhstan.